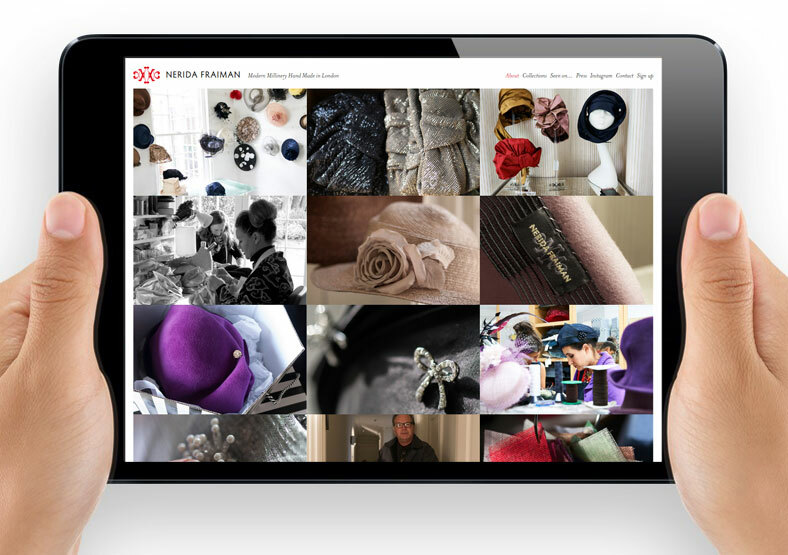 Milliner Nerida Fraiman's collections are stocked at high end retailers such as Harrods and Fenwick. Fans include celebrities and members of the British royal family. 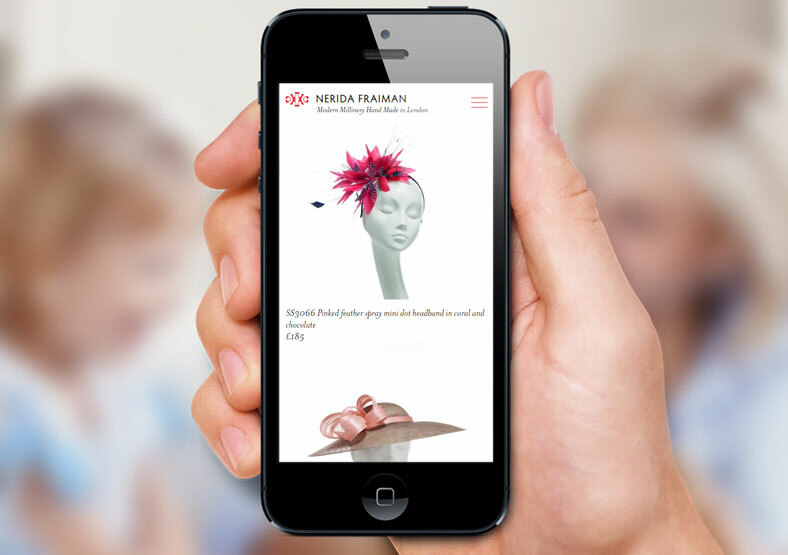 Working alongside Oro Design, Public built a new WordPress website for Nerida Fraiman using Oro's clean and contemporary design. The website puts the stunning imagery front and centre. 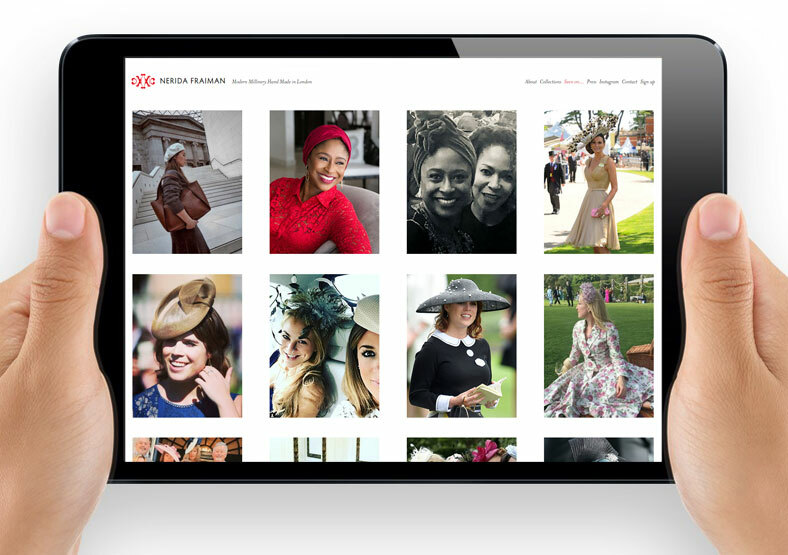 Using the WordPress platform allows each new season's collection to be added easily by the client. We set up the SEO (search engine optimisation) for the website, using key words and phrases to improve its Google rankings. Finally we made the site responsive, so it can be viewed equally well on desktops, tablets and smartphones.